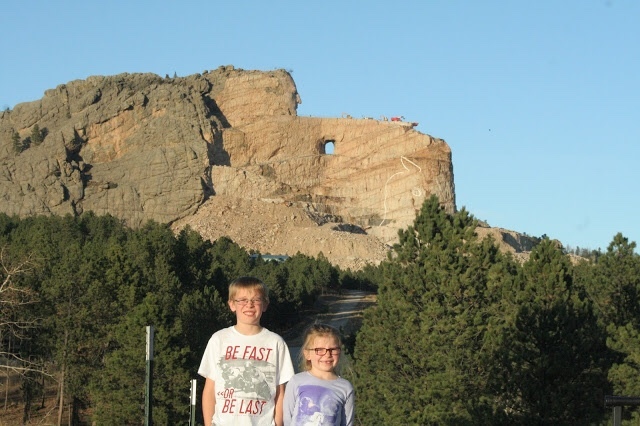 Nick and I were able to give our children a similar Black Hills experience about a year ago. With the exception of visiting pioneer cemeteries, we visited South Dakota's famous monuments. I was a little disheartened that it appeared little progress was made to the Crazy Horse monument in the 20 years since I last visited. But then again, this project receives no federal funding and relies solely on private donation. I wondered why that is. I began to dig a little deeper into the story and the history that surrounds the site, and what I learned was very enlightening and quite disheartening. It's because there is a lot of controversy that surrounds this site. Polish sculptor Korczak Ziolkowski began work on Crazy Horse in 1948 at the request of Henry Standing Bear, who was chief of the Lakota. Standing Bear is quoted in 1939 saying that he wants the "white man to know that the red man has heroes also." But, the descendants of Crazy Horse feel the Chief didn't have the right for such a request to be made. In 2003 Elaine Quiver, a descendant, said Lakota culture requires the consensus among family members and they were never asked. 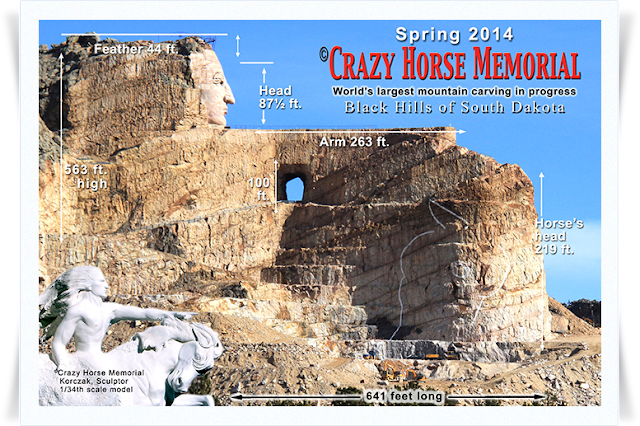 No permission was granted for someone to carve Crazy Horse's image into the Black Hills, land that is considered sacred to the Lakota. Their burial grounds are located there. It's for this reason one can speculate Mount Rushmore also violates this. South Dakota's monuments are considered a desecration of native land. The Crazy Horse Memorial site includes a museum dedicated to preserving the rich history of Native Americans, which helps to fund the memorial. 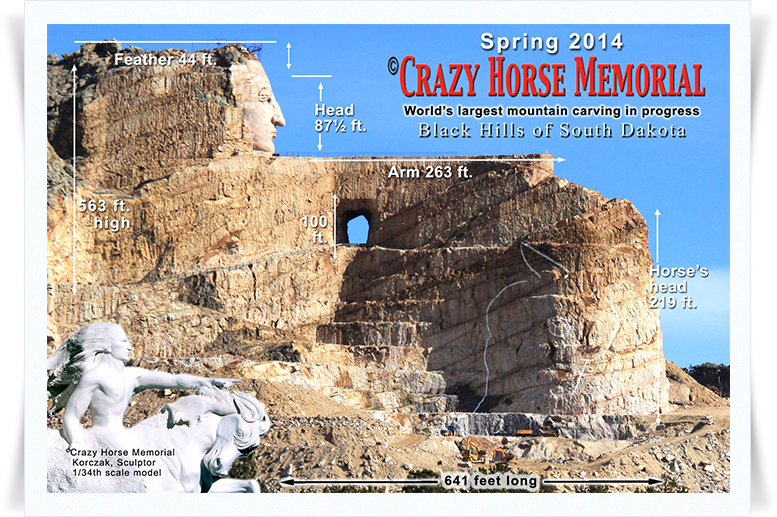 Knowing what I know now, I'm no longer sure if this was the correct way to honor Crazy Horse. It's this quote regarding the topic that resonates with me most: in a 2001 interview, Lakota activist Russell Means said, "Imagine going to the Holy Land in Israel, whether you're a Christian or a Jew or a Muslim, and start carving up the Mountain of Zion. It's an insult to our entire being."